A menacing storm is expected to hit Florida shortly as Hurricane Matthew roars along the Caribbean coast towards the US. States of emergency have been declared in four states as the storm gathers strength and leaves behind a path of destruction. 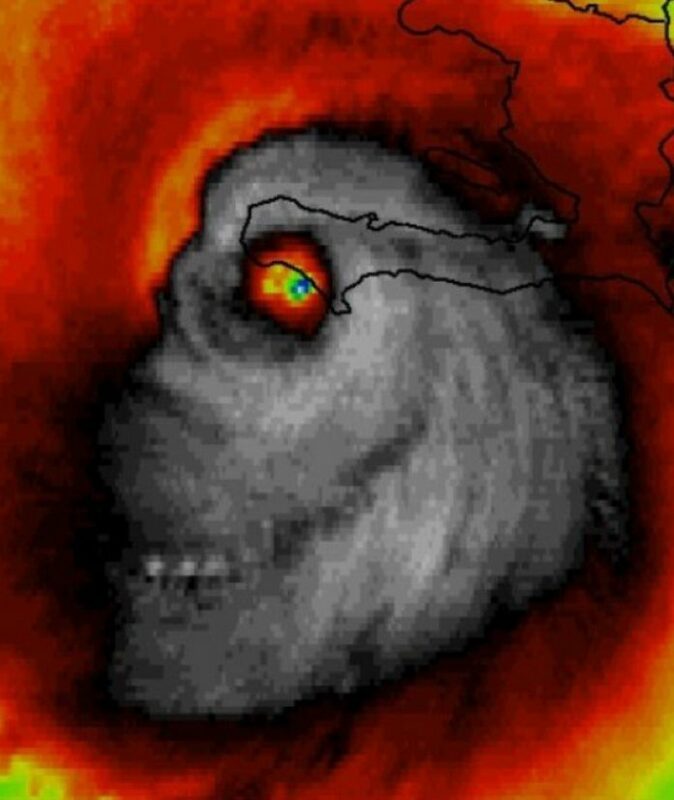 NASA satellite images reveal the ghoulish face of the storm from space. NASA has been sharing satellite images and timelapse videos taken from the International Space Station (ISS) as Hurricane Matthew hurtled through Haiti and Cuba, leaving a path of destruction in its wake. Florida is now bracing itself for a ‘direct hit’ from the deadly category 3 storm which is expected to strengthen to category 4 as it approaches the southern part of the state. It’s also expected to pass close to or over NASA’s Kennedy Space Center, near Melbourne Beach which, ironically, is home to America’s next-generation weather satellite – the GOES-R. The $1.2 billion satellite – which is penned for weather monitoring and forecasting – is being held in a facility which can withstand up to category 4 hurricanes. GOES-R is due to be launched into space on November 4. Almost 2 million evacuations have been ordered along the coasts of Florida, Georgia and South and North Carolina, according to ABC News. States of emergency have been declared in the four states. NASA’s latest video captured views of the menacing force on October 5 as it moved towards the Bahamas. At least 102 people have been killed as a result of the hurricane – described as the worst Caribbean storm in nearly a decade. 98 of these deaths happened in Haiti, according to Reuters. 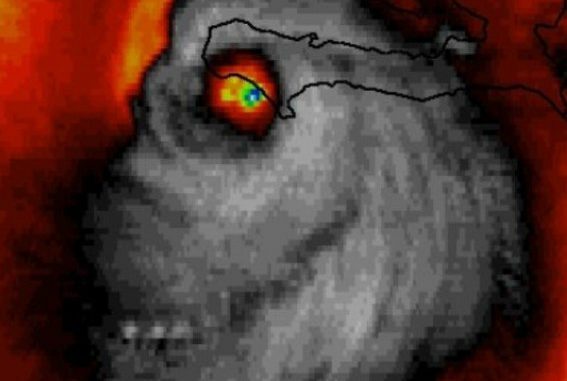 The deadly storm has also become something of an internet sensation for its terrifying, apparently Halloween-themed appearance, as captured by a satellite image. A ghoulish picture resembling a human skull was shared by Weather Channel meteorologist Stu Ostro. Is U.S. Government Hiding Red Haired ‘Giant Of Kandahar’?